Improve your real-world driving skills with a skid pan driving experience. 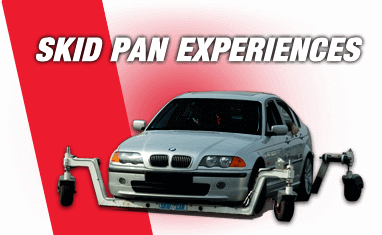 Master the skill of recovering a skidding car in wet, icy or snowy conditions with expert instruction and practice in a modified skid pan car. Great fun with lessons that could come into play when the weather takes a turn for the worse. See the full range of skid pan experiences that we offer below. What is a Skid Pan Driving Experience? Learning to recover a skidding Car is not only an invaluable skill to have when it comes to your safety, but it's also great fun! Skid control is not a natural skill which we possess and more often than not when we lose control of our vehicles on a wet/icy surface our reaction with the steering wheel and pedals tends to make the outcome worse. On our skid pan experiences, the instructors will give you expert advice on how to recover a Car from a skid in a safe controlled environment whilst at the same time making it an enjoyable lesson. 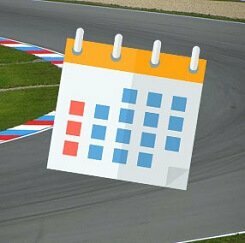 At Rockingham and Silverstone you will actually be driving the Car over a kick-plate which will send your Car sliding in a random direction over a slippery surface, can you react fast enough to stop the Car going into a spin?